An organization creates uniquely illustrated, interactive books for little visually challenged readers, bringing Russian and world folk tales to life for them. 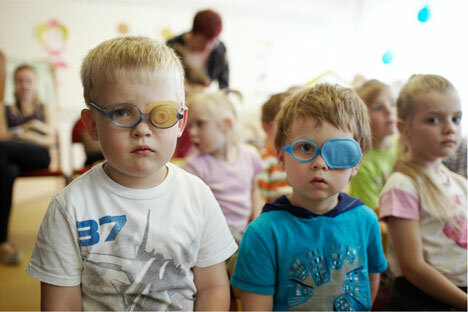 For over 20 years, the charitable foundation ‘Illustrated Books for Little Blind Children’ has published and donated books for visually impaired children, illuminating their lives by bringing Russian and foreign stories to life with 3D printing and music. The books do not use Braille because the small children are too young to have learnt how to read. Books published by the foundation have special tactile elements and a ‘magic’ pencil, which is an electronic device for’ reading’ printed micro-codes to enable the books to play music and ‘view’ text files. Alexander Degen, the Foundation’s chairman, said the idea began with greeting cards and the arrival of 3D printing technology. The next logical step was to create books for small children.